Celebrating Valentine’s Day at home is a new favorite tradition of mine. As you might already know, I don’t like crowds… And February 14th dinner experience in New York City reminds me of Times Square in a rush hour. Thousands of couples all being romantic at the local restaurants and movie theaters. It’s so adorable but so not me! Last year, we did something new and decided to order in. In case you wonder, it was a vegan pizza and since it was the first pizza I ate in 3 years, it felt VERY special and romantic. 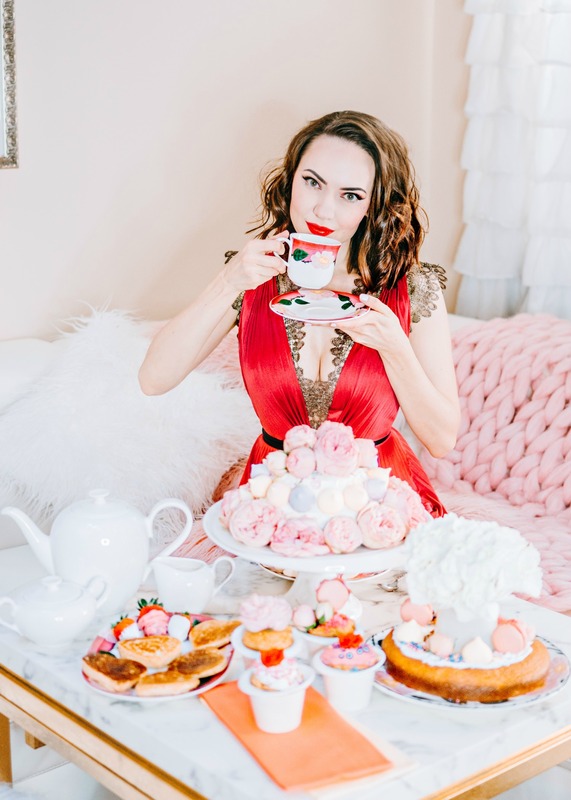 This time around, it’s my turn to create a romantic Valentine’s Day experience — so I decided to share with you some of the ideas for Valentine’s Day dessert that I’ll be implementing. 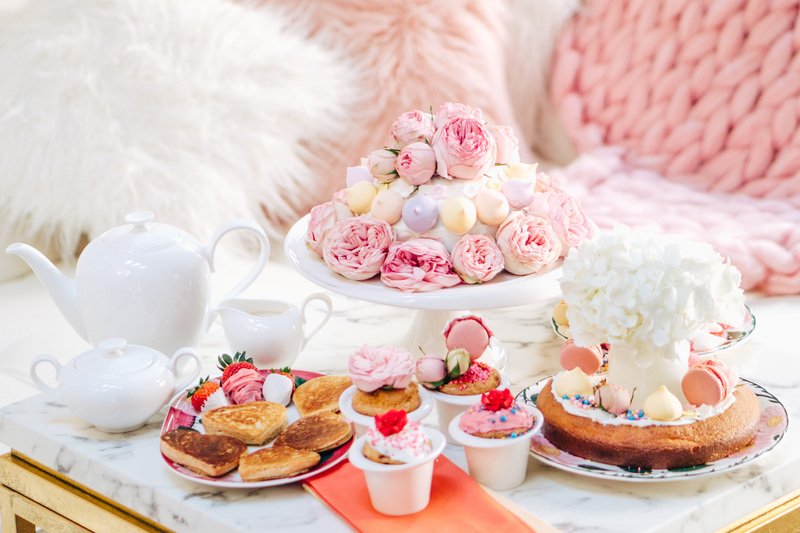 Hopefully, you’ll find in this post some inspiration to organize a sweet at-home gathering for someone special in your life too! Full disclosure: some of the table decor pieces you see in this post are provided by Villeroy & Boch. When it comes to food, I baked and decorated everything myself. Let me know in the comments if you want to learn more about any of the desserts you see in these photos! 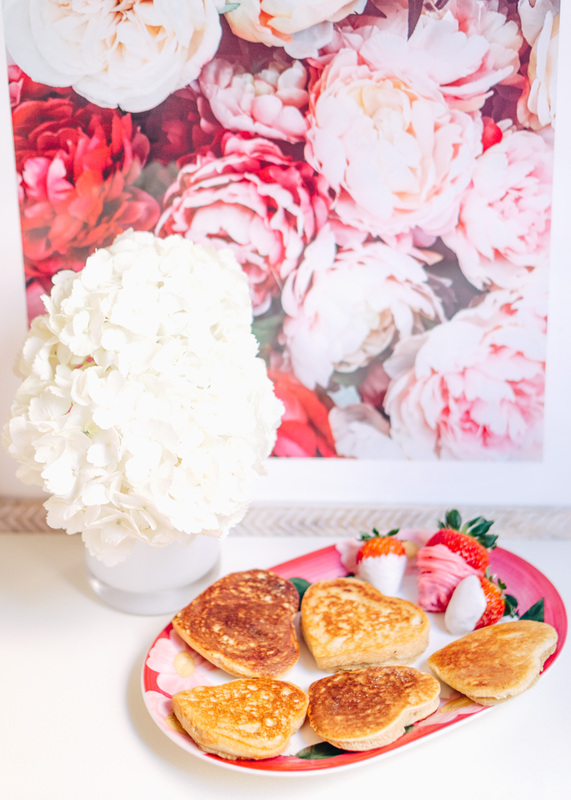 Usually, I’m the biggest proponent of tablecloths and linens (see my DIY burlap tablecloth project here) but this time around I found it impossible to find Valentine’s Day tablecloth that doesn’t look tacky. 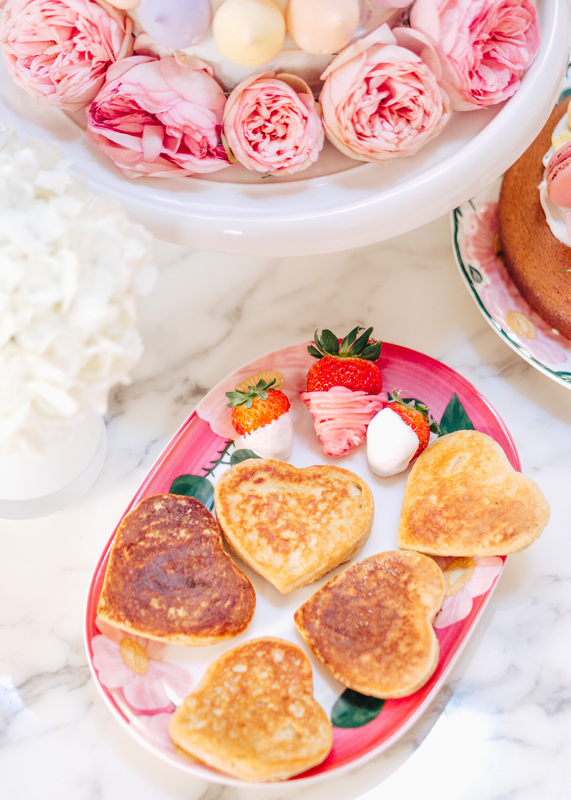 All the hearts and cupids are surely adorable but for me, it’s more of a Pinterest inspiration than real life necessity. Since we have a marble coffee table in the living room, I decided to keep it raw and just use colorful napkins. 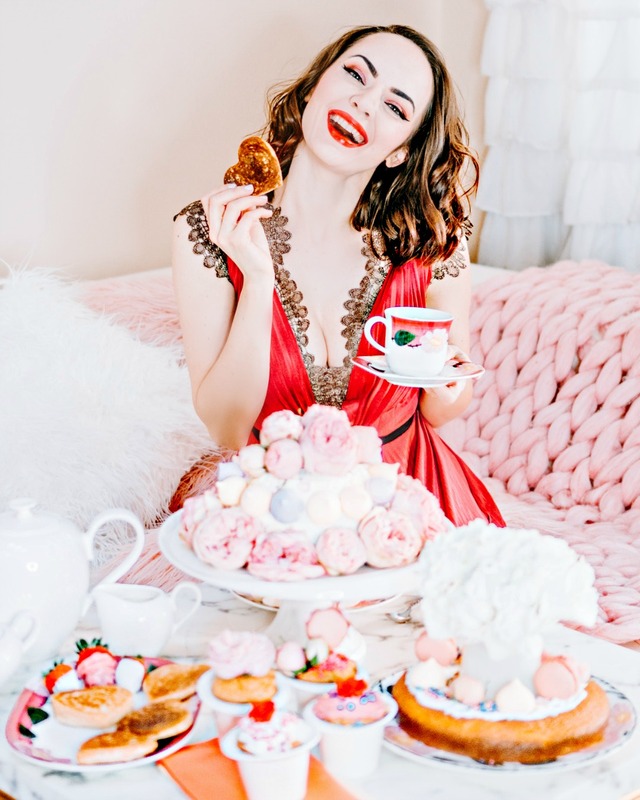 Otherwise, I’d just go with a solid color white or blush pink — let your dessert be the center of attention! Before we go anywhere further, let me address the elephant in the room. I just got a new set of Villeroy & Boch dinnerware from the Rose Sauvage collection and it might be the only prop needed for your Valentine’s Day table. Ever since this photo shoot, I’ve been using these plates and mugs for serving our everyday meals and now our regular meals feel super special too! 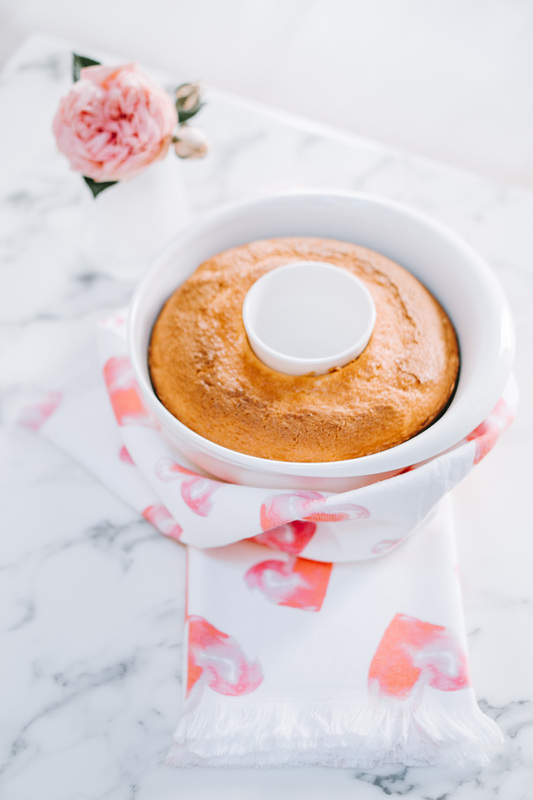 So my advice would be to upgrade your dish game regardless of whether you are planning an at-home celebration or not — these will turn every day into a romantic holiday! If you are into home décor kind of TV shows you know that all interior designers talk about is textures and heights. 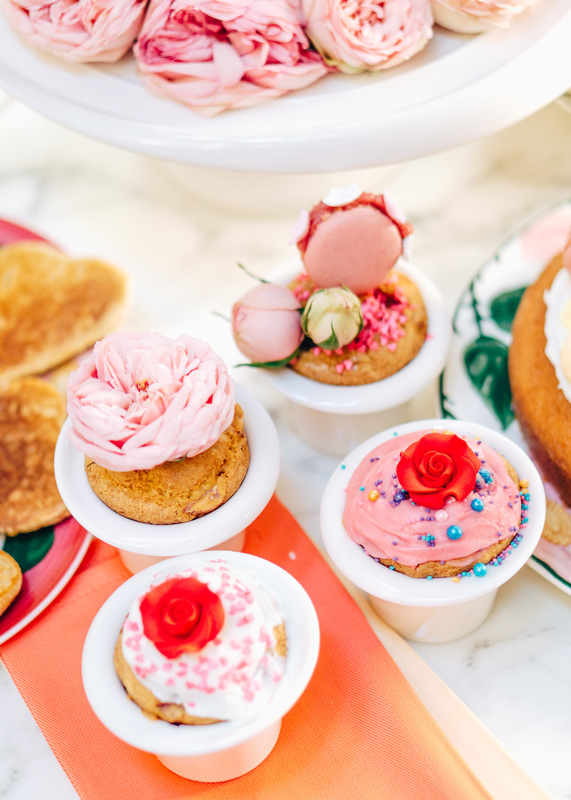 When it comes to setting up a perfect Valentine’s Day dessert table, having items of different height is a secret sauce too. Look, for instance, on these photos. 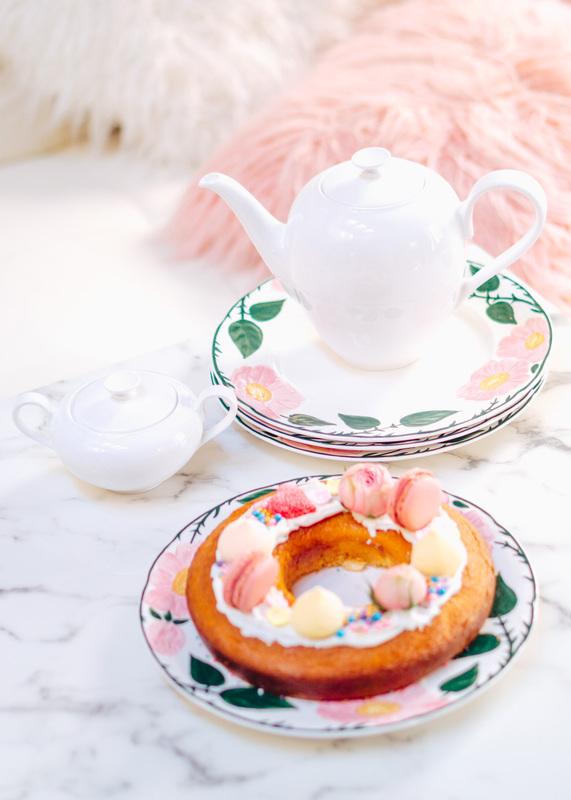 This cake stand from Villeroy & Boch’s Clever Baking Collection not only creates a focal point for the entire set-up but also saves valuable space on the table. Same goes for flowers. A nice vase with freshly cut hydrangeas (like this mini vase in white) adds a different height to the table set-up and makes an entire arrangement look more aesthetically pleasing. A lot of people are using things like muffin cups and pie forms for baking purposes only but these are actually a perfect table decorating prop! Look, for instance, on these adorable muffin baking cups by Villeroy & Boch. Not only these are convenient for baking muffins in a mug kind of treats but these are a perfect serving idea too! Just grab a fork and eat your muffin from a cup — crumbles-free! For the longest time, I had the most random selection of coffee, creamer, and sugar pots possible. And while I’m extremely OCD about getting an exact match in my outfits, my kitchen was definitely lucking in this department. Trust me when I say that having a perfectly matchy-matchy dinnerware makes you feel that you are finally having your life together. Not only it looks good, it feels incredible too. In case you wonder, this beautiful new set of a coffee pot, sugar bowl, and creamer are from Villeroy & Boch’s Anmut Collection. They also have matching teapots and mugs made out of precious bone china. As I previously mentioned, hearts and lip prints look a bit cheesy to me, especially when these are printed on your tablecloth or napkins. But if you still want to incorporate these universally romantic signs into your Valentine’s Day table set-up, why not using them in your food choices? 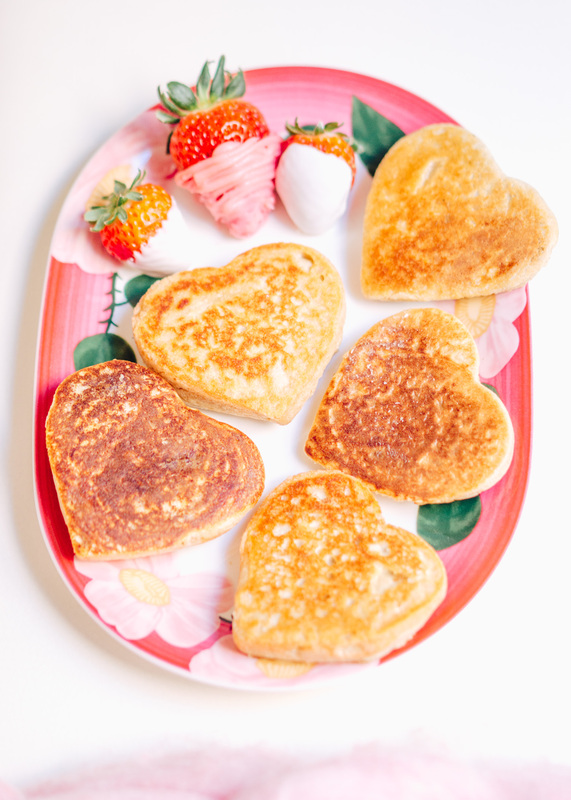 For instance, if you are planning on cooking some pancakes, why not using a cookie shape to make them heart-shaped? 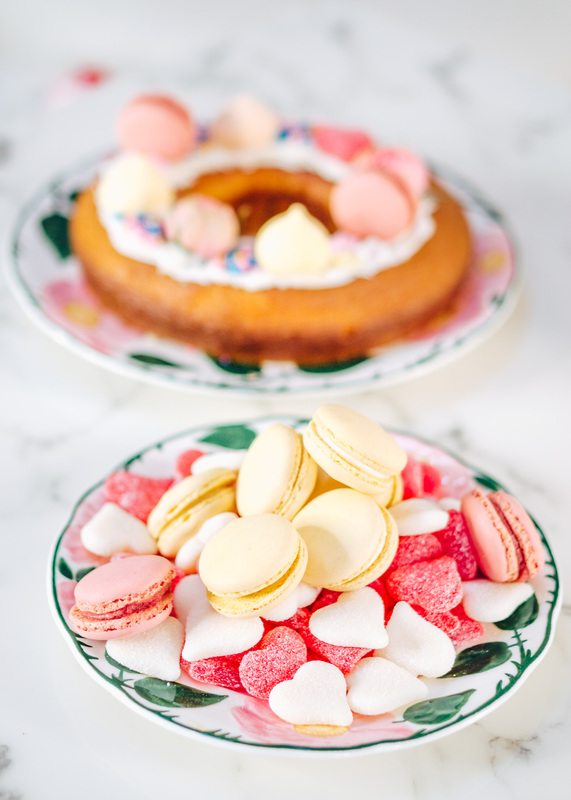 Or if you are not into cooking at all, add a few heart-shaped candy pieces to your macarons plate. Or sprinkle that mini heart shaped sugar onto muffins or cupcakes. Such understatement decorations will bring a festive vibe without overwhelming and over-romanticizing the entire set-up. 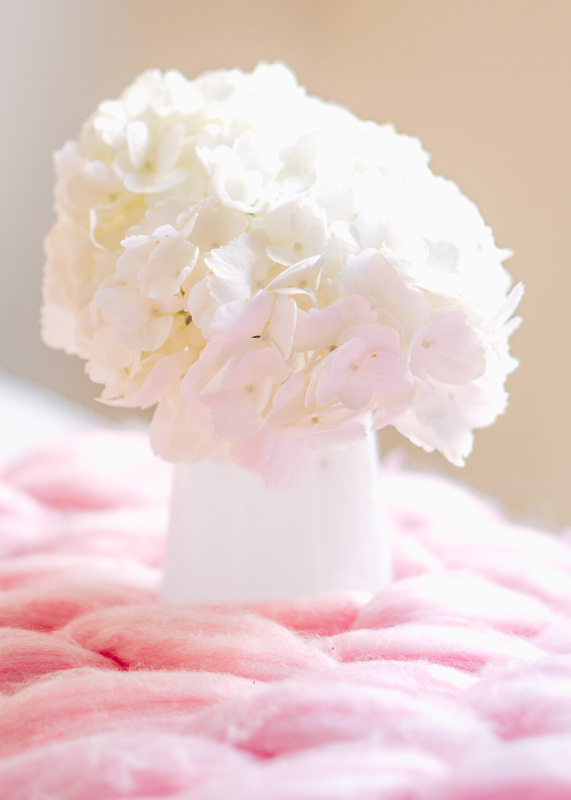 Not many will agree with me on this one but in my book fresh flowers make everything look better. Look, for instance, on this home-baked cake. I used a multi-purpose baking dish (with the removable center piece!) by Villeroy & Boch to cook my pound cake. Then, I decorated it with regular vanilla frosting. This combo always tastes good but looks quite boring. 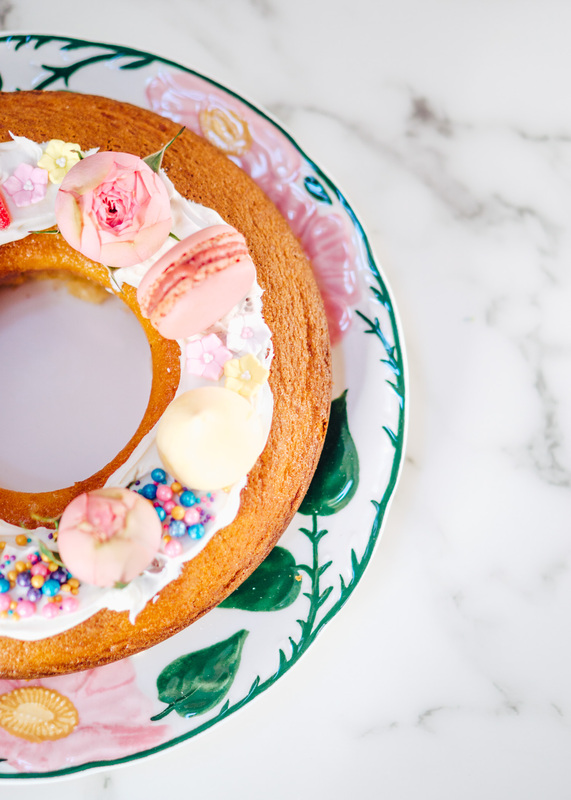 But put some flowers around it and in the middle (where the cake has an opening) and you turned your most basic cake into a decadent dessert! Similar to flowers, macarons and chocolate-dipped strawberries (also meringues!) make everything look so much cuter. 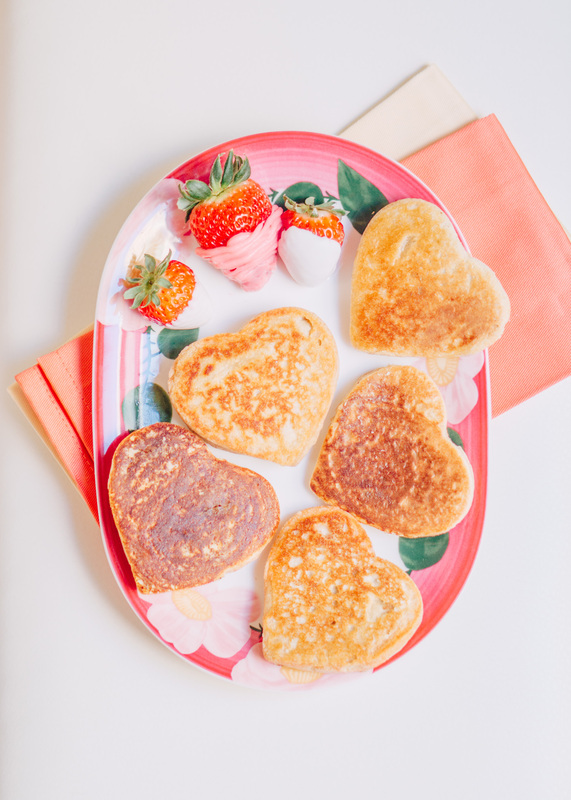 Whether you pick to add them on your basic baking goods for the celebration or put them in separate bowls as a separate treat, definitely consider including some of them into your Valentine’s Day dessert set-up. These yummy decorations certainly help to shake up your décor game! 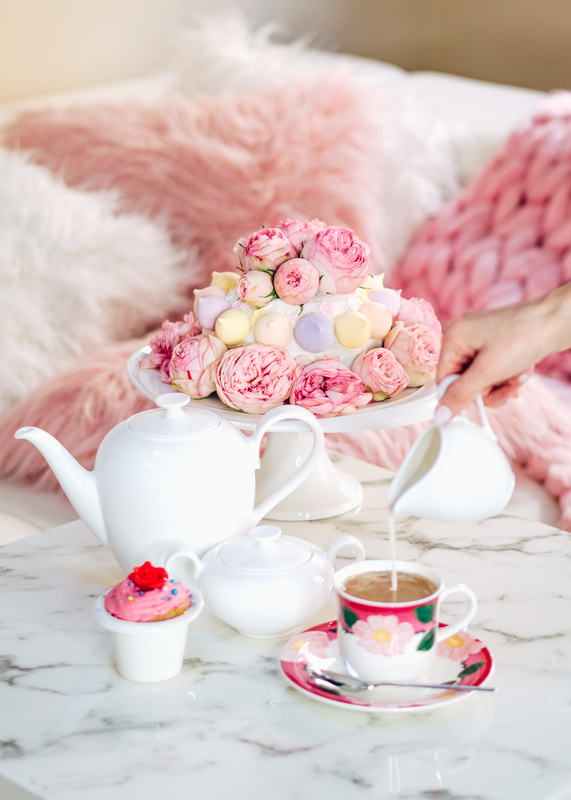 There you have it: some of the tips and tricks that I used to create this romantic dessert table for our Valentine’s Day celebration. Hope you found it inspiring and will be implementing a trick or two. I look forward to hearing in the comments some of your holiday table decor ideas. Have a wonderful Valentine’s Day! Previous Post How to Organize Your Workflow as a Blogger?